OPINION: Professional Diving Business: India as a potential candidate. Professional Diving Business: India as a potential candidate. Current status of professional diving in India. The scene of Pro-Diving business in India is still at startup stage, that could perhaps make it an intelligent choice for the future investment. 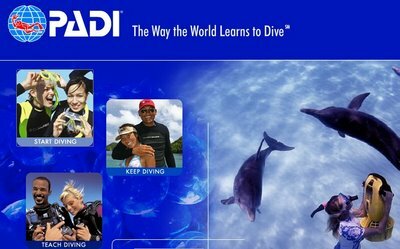 A quick search at PADI would reveal that only 4 major dive schools are situated in India, 2 in Andaman Islands and 2 in Goa, both are beach/ocean tourist destinations. In parallel to PADI, SSI also administer few diving schools in Goa. Only Andaman Island in the above list is being utilized as a dive location at the moment. By far, the most wide-stretched coral reef ecosystem is Lakshadweep's and that remains one of the major tourist location. It won't be a good decision to start a business in kachchh, that is situated in state of Gujarat notorious for religious instability. Major Hindu-Muslim riot happened recently left 10,000s dead and tourists in general have a tendency to avoid this "hindu" state. Gulf of Mannar could be a location of interest but proximity to Tamil-Tiger controlled Northern Srilanka would have some serious implications on tourist inflow. There are other parameters to be considered as well, major being the integration with existing tourist destinations. Let us consider Goa, one of the leading destinations in beach tourism that ranks second only after south Indian state, Kerala. Goa does not have a good coral reef system - that can be trapped as a futuristic fun-diving destination-yet some of the pioneers in dive school business in India are located here. The scene of pro-diving in Goa is almost saturated, 2 or 3 major dive schools meets and exceeds current demand from researchers and tourists. South Indian state of Kerala is noteworthy to mention as a destination for investment. Kerala is the Indian state that earns maximum revenue from tourism. For the last 26 years, Kerala stood first place in list of major tourist destinations in India, and has been featured in http://www.lonelyplanet.com as world's 4th best tourist spot. The beach Kovalam has been featured as 3rd most beautiful beach on earth by National Geographic Channel.The state is 100% literate, and IT is a blooming industry. Though the state Kerala is famous for its exquisite palm beaches, it is ironical that it has no certified Dive Schools. Kerala also includes Union Territory of Lakshadweep, an archipelago spread in Arabian sea. Lakshadweep houses the most important coral reef ecosystem in India. Given these facts, the state of Kerala and Union territory of Lakshadweep seems to be two of the best locations in India for a futuristic investment in Dive School Business. a) Collaboration with academics/industries associated with pro diving business. For the parties who plan to invest in dive schools in India, I would suggest a thorough advertisement plan combined with collaboration with Oceanography laboratories. NIO, NCAOR and NIOT are three of the nationally well known oceanographic laboratories in India. My own personal experience suggests that scientists in these labs promotes and advertise the commercial dive schools. Hence a collaboration with researchers in these labs would definitely improve the chances of success. As for the advertisement, my recommendation is to get listed in ISS/PADI Online referral sites, as majority of prospective applicants search in PADI/ISS Database prior to decision making. It is highly recommended to get '5star dive resort' certification from PADI, and 'NatGeo Dive Paradise' certificate from National Geographic Channel, though it would demand a higher investment. Advertisement in tourism magazines, posters in major beach resorts, internet, TV etc would immensely boost the revenue.